Situated in the heart of Ireland, Pitman Training Centre in Mullingar is a thriving training centre and specialises in providing you with flexible, self-paced training tailored to meet your needs and ensure your success. Pitman Training is a unique learning environment, which allows students to study and train at their own pace. Each of their centres around Ireland are also hosts to a number of experienced course advisors, who are always on hand to offer support and encouragement. The reason for Pitman pursuing this flexible method of studying is pragmatic as the contemporary student body varies in culture and lifestyle. Some students have just left college, some may work at a full-time job, while others have children to take care of or are constantly on the go. 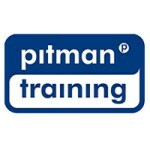 Pitman Training is here to correspond to these realistic factors by offering their opening hours, but no rigid timetable. This allows students to come and go when they please and gives them the opportunity to ascertain the skills that are essential for their desired job. This award contains three courses focussed on helping you gain reputable medical administrator know-how. You'll study Medical Word Processing, Medical Audio Transcription and Medical Terminology. HR Essentials is an entry-level HR training course. Through a series of self-paced lessons you'll learn essential knowledge on area such as recruiting new staff, employment contracts, salary processing and maternity rights. This course is broken down into four engaging lessons and is suitable for beginners. You'll cover an initial introduction to Civil Litigation and then move on to more detailed aspects of the specialism. Train in all the key Microsoft Office packages - Word, Excel, Outlook, Access and PowerPoint. Then, take your knowledge even further with the addition of two elective courses of your choice. This diploma will help you gain a key skillset most office staff are required to possess. You'll study key Microsoft Office courses (Word,Excel, Outlook and PowerPoint), Effective Business Communication and touch-typing. This diploma has been created to help you learn all the skills required to effectively plan, progress and complete a project. You'll cover topics that are aligned to renowned the Prince2 methodology. This diploma is designed to give you skills required to work effectively as a Medical Receptionist. You'll gain top-class administration skills and study courses specifically aimed at those wanting to work in the medical industry. With our typaz speed course we'll increase your work-rate and help you learn to touch-type at up to 40-60 words a minute; what a difference that will make to your productivity and daily work! Time management training increases your productivity and efficiency - and this is the perfect time management course for anyone who wants to get more done in less time.